These sources, which are held in monastic, governmental, and royal archives, provide information on Lao Buddhism from only the 14th century and after, and many have yet to receive scholarly scrutiny. A survey of the information gleaned from these sources reveals the story of Buddhism in Laos to be a fragmented and contested history of royal patronage and governmental reform, as well as a creative engagement between local, indigenous beliefs and a translocal religion. 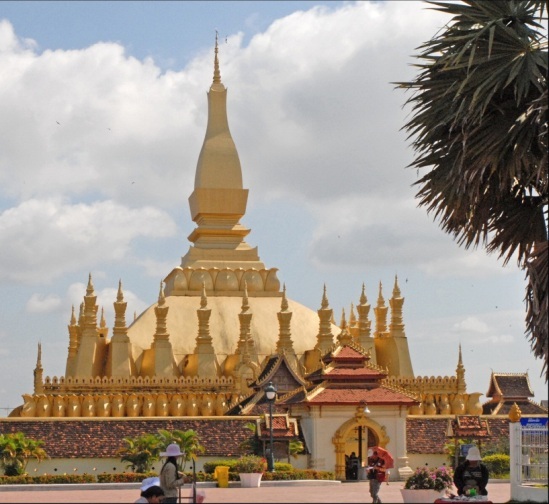 As the various kingdoms of what became Laos emerged as regional centres of power and wealth, Buddhism helped construct Lao identity. In turn, royal reform, rituals, beliefs, aspirations, and vehicles of expression reconstituted Lao Buddhism. - tamnāns (relic, image, and monastery histories). Xalongs, anisaṁsas, and parittas are used in everyday house, buffalo, monastery, and bodily blessings; they are also used when making love potions and protective tattoos. The tamnāns show the heavy Buddhist influence in the governmental, economic, and military history of Laos. Nithāns and apocryphal Jātakas are intricate and entertaining stories of heroism, romance, and adventure that were (and are) often narrated at religious events or life-cycle rituals, such as funerals, and at the end of the rains retreat. Nithāns and apocryphal Jātakas were also the basis for monastic education and public sermons. What should be emphasized is that Pāli canonical texts are often in the minority in these collections. Translocal Buddhist narratives and philosophical texts have been commented on and adapted by local Lao teachers, and these commentaries and adaptations are much more popular in Laos than their source texts from India and Śrī Lanka. Lao Buddhist inscriptions, particularly votive inscriptions, generally provide evidence of royal or wealthy lay patronage of certain monasteries. They also reflect the great influence that Northern Thailand and, after 1560, Burma (Myanmar) had on the practice of Buddhism in Laos. One inscription from Dansai (formerly part of the Lao Kingdom of Lān Xāng, but part of Thailand since the mid-19th century) tells of Buddhist monks accompanying the king to a political meeting with the King of Ayutthaya. Another inscription from Vientiane (the present capital of Laos) suggests that there were many monks from Chiang Mai (Northern Thailand) in the region, which would account for similarities in Lao and Northern Thai Buddhist and secular literature composed between 1480 -1620. It is Phothisālarāt and his son Xetthāthirāt (r. 1548-1571) who were responsible for the creation of most of the extant sources of Lao Buddhist history. Phothisālarāt actively tried to “purify” Lao Buddhism by banning magical practices and the worshipping of phī (ghosts) and phrabhūm (local deities of trees, rocks, waterfalls, etc.). all of these rituals combine the worship and propitiation of phī and phrabhūm by Buddhist monks with the chanting of Buddhist mantras. and involves the mixing of Buddhist prayers with aspirations to be lucky in love, finance, and the avoidance of attacks by knives, guns, and poison. These books cover a wide range of subjects, but generally resemble their palm and mulberry leaf manuscript predecessors. Still, whether it be printed books, inscriptions, or manuscripts, the textual sources resist easy classification and cannot be used to provide a clear, linear history of Buddhism in Laos. - and the reunification of the 3 kingdoms of Laos (Luang Phrabang, Vientiane, and Champasak) by King Ānouvong (r. 1804-1828) and the subsequent burning of the Vientiane by the forces of Siam in 1827. Still, these chronicles, like Western and local modern historical reconstructions written in the 20th century, generally sacrifice accuracy to clarity, covering over the variety of Buddhist beliefs and practices with a sheen of unity and linearity. In the 19-20th centuries, travellers’ reports provide information about the history of Buddhist practice among the general population, information that is lacking in royal chronicles, protective chants, and relic and monastery histories. Travellers’ reports confirm the validity of some of the rituals described in folktales and epic poems. These sources also describe how monks took on the roles of magicians, appeasers of local deities, doctors, and secular and religious teachers in Lao villages. Still, aside from these reports and many others, a comprehensive study of how Buddhism and indigenous Lao religions have interacted remains a desideratum. Its Marxist government has allowed the practice of Buddhism to flourish and has even enlisted Buddhist monks to serve as political advocates who hold up the communist ideals of generosity, community cooperation, and equality among the classes. while discouraging monks’ practice of traditional healing rituals, exorcism, and prophecy, and discouraging them from using the monkhood to avoid military and government service. The Lao government has also attempted to limit lay donations (in order to gain merit for a favourable rebirth) to monasteries, even though this practice has been the foundation of lay/monk interaction for the entire history of Lao Buddhism. the unique and syncretic practices of Lao Buddhists that the sources reveal persist and even flourish among both the urban and rural populations.